Studio Musicians for Hire… How do You Choose Your Session Musicians? The music’s written, the arrangements are done and you know the kind of sound you want. Now all you need to do is get the music recorded in a studio. So how do you go about studio recording and hiring musicians for your project? There are several options available, here’s a quick rundown of each one. Today’s digital technology means that anyone can record themselves playing and singing in the comfort of their own home. It’s your song, you can take as much time as you like getting it right and save a ton of money. Sounds ideal, right? It may sound counterintuitive, but one of the key disadvantages of the DIY approach is the fact that you’ve performed everything yourself. You’ve programmed the drums, played the bass and guitar, added the effects – your original idea sounds exactly as expected. And that’s the problem. When you work solo, the end result is entirely predictable. You’ll sound too much like…you. Other musicians bring their imagination that widens and deepens your original musical idea – subtle changes to the melody, rhythmic and harmonic solutions that you wouldn’t have thought of on your own. Another thing to consider is the skills required to get the recording process right. Unless you’re a professional session musician it’s really easy to get bogged down with take after take. A note-perfect, in time performance in a recording booth wearing headphones and listening to a click track takes serious experience. 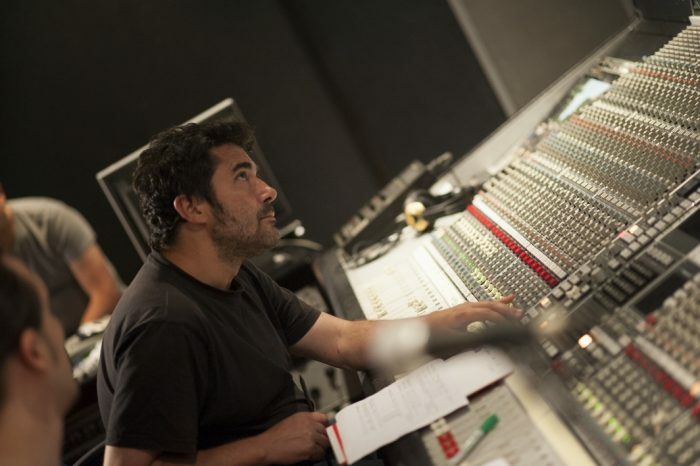 Not to forget that you are also filling in the recording engineer’s shoes, this adds additional layer of complexity and uncertainty to the recording process. Getting together with your musician friends to record your songs is better than the lone wolf approach. They’ll probably work for free so it won’t cost you any money, and your tracks automatically benefit from the richness of musical collaboration. You’ll also avoid the constant doubt and second guessing that comes with just one person taking on all roles. This process can work well if your friends are experienced studio musicians, as the music industry expects a certain level of “polish” and will hear through a rough recording within seconds of pressing play. It only takes one weak link in the chain. Another matter to consider is that professional musicians are used to dealing with feedback – it’s a part of the job. They’ll respond instantly to clear musical instruction, and they won’t take it personally. Your friends, on the other side, are doing you a favour and may not take kindly to your efforts at getting the result you want. When it comes to delivering effective feedback to friends, things can get awkward. Professional session musicians aren’t just good at playing and recording their instruments, they’re also fast – and the internet offers you an almost unlimited choice when it comes to finding them. A lot of pros, especially drummers, offer their services independently via their own websites. They’re experienced musicians, and there’s an obvious cost advantage because you’re just paying their fee, no add-ons. The online hiring approach can work well, you’ll get good results if you’re prepared to put the legwork in. You’ll need to search out appropriate musicians for your track, think about the best way to organise the sessions and most important of all, clearly communicate your wishes. This is a potential pitfall to online hiring, because direct communication with musicians isn’t as easy as it sounds. Pro musicians will expect you to speak their language. They won’t thank you if you’re unable to explain or, worse, aren’t sure what you want from your track. Communicating effectively online is notoriously difficult at the best of times. Conveying a creative idea online to musicians you’ve never met, using clear-cut musical language, adds to the difficulty. For direct online hiring to succeed, you need to start with a fully formed musical idea. And you need to translate that musical idea into words that are crystal clear to seasoned, studio musicians. If you’ve any doubts about your ability to do this, think about getting a professional to do it for you. Let’s start with the real-world producer. This guy will take all the hassle away. He’ll find and hire the right studio musicians, arrange contracts, hire a studio and recording crew, get everyone together and then make sure you get the sound that you want from the musicians. Sounds great, and you’ll get a great result. Also, you will be able to be present on the actual recording sessions. There’s only one major downside to this set-up. It’s expensive. Very expensive! You’ll need to pay the producer a hefty whack. Add his cut to the session musician fees, studio and crew fees and you’re looking at a pretty major bill. If the studio is not in your city, you will also have travel and accommodation costs. Specialist online production companies do everything that a real-world producer does. But it’s a lot cheaper. For a start, the musicians work anonymously so they can charge a much lower fee than their usual real-world prices based on volume of work. Online production companies also have the luxury of 24/7 studio time. They can work `out of hours’, between the real-world sessions, and they pass the cost benefits of this cheaper studio time directly onto you. You also get the major advantage of studio musicians and recording crew who work together on a regular basis. Something special happens when you put seasoned musicians together in the same room with a dedicated engineer and an experienced producer. They take things further. On the downside, you are not present on the recording session and you have to put faith into the team that is working on your songs. Here at Supreme Tracks, we are aware of this downside and we make sure to engage the client as much as possible into the process – by consulting with the client thoroughly before the production start, sending previews after every step of production and making corrections/changes based on client’s feedback before finalizing production. It may not be as good as being present on the recording sessions, but it still gets the job done right and for a lot less money. If you would like us to record studio tracks for your project at the best value-for-money rates, let’s start off with talking about your project and providing you with a FREE consultation. G`day, my name is Steve! i am looking for a Pianist/Keyboard player to help me record a track! all i need is piano and strings i can perform the vox and rest myself! can you please tell me how i can find someone online to help me! he then records what i need and sends me the recording to which i can then add vox! is this feasible? also the full cost?